If you’ve been hunting for a bassinet which is different from all the others, we’d like to introduce you to Byron Bay’s The Rattan Collective. With many a beautiful bassinet on offer, there’s much cooing to be done! 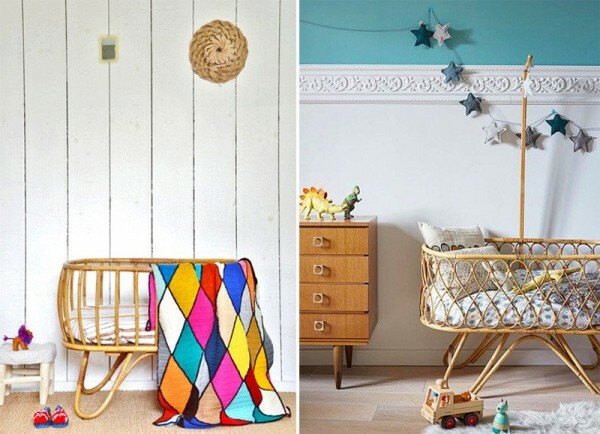 Fancier than your run-of-the-mill bassinet, I can see these rattan beauties holding toys and being enjoyed by littlies long after their initial duty of providing a sweet spot to slumber. Made from beautiful rattan, bassinets are light and airy, easy to move around the house indoors and out, so baby is close to you wherever you are. We’re spoiled for choice with several designs on offer, including my favourite the Domo. As for finding a mattress to fit, that’s included too! All bassinets are priced $479 and available to order from The Rattan Collective. Do bear in mind that bassinets are handmade to order so expect to wait nine to twelve weeks for delivery.